Alabama Alaska Arizona Arkansas California Colorado Connecticut Delaware District Of Columbia Florida Georgia Hawaii Idaho Illinois Indiana Iowa Kansas Kentucky Louisiana Maine Maryland Massachusetts Michigan Minnesota Mississippi Missouri Montana Nebraska Nevada New Hampshire New Jersey New Mexico New York North Carolina North Dakota Ohio Oklahoma Oregon Pennsylvania Rhode Island South Carolina South Dakota Tennessee Texas Utah Vermont Virginia Washington West Virginia Wisconsin Wyoming Outside of the U.S. The American Lifeguard Association has been offering lifeguard courses for over 25 years. ALA helps with the development of testing protocols and the administration of health and safety program at swimming pools, waterparks, and beaches. ALA emphasizes public awareness of responsibility in aquatic environmental issues to protect the world we live in. It has worked diligently on environmental issues to help keep our beaches and waterways cleaner for our future generations. ALA adheres to a code of ethics and makes a commitment to deliver high-quality health and safety training. We are diligent in ensuring that program content and guidelines are safe and meet national standards. to help prevent and respond to aquatic emergencies. We are a prominent leader in the Lifeguarding profession here in the USA, and overseas. The American Lifeguard referral program is simple to use. Just refer individuals to our lifeguard training program, then when they email us your name and email address the same day they register, you get cash! You will get $50 for every referral through the end of the year. There is no limit to the number of referrals you can make! Step One: Spread the word by email, social networks, and word of mouth about American Lifeguard Association lifeguard courses. Remember to let your friends, classmates, teammates, co-workers and coaches know they can get trained anytime and anywhere with our programs. Registration is via our website at www.americanlifeguard.com. Step Two: Make sure they email us the same day they register at [email protected] with your name and email address. Step Three: Once we receive their registration fee and email, we will send your referral fee by PayPal. It doesn’t even matter if you yourself have not received training from the American Lifeguard Association. You can still get the referral! Rules and Restrictions: Individuals may not refer themselves or immediate family members. This program is valid only for new registrations from individuals who have never taken a training course from the American Lifeguard Association and who pay the regular course price. No discounts or other special offers may be taken by the student to qualify for this referral program. The American Lifeguard Association reserves the right to suspend or deny any referral at any time. and accessibility of Health & Safety programs to the public. to verify the credentials of ALA lifeguards. ULC allows lifeguards to manage all their professional credentials online. All professional records can be viewed, printed on demand and managed in order to help ensure on time renewal. ULC also offers a validation service for certifications from all agencies including the American Lifeguard Association, the American Heart Association, the American Medical Association, the National Safety Council, and many other national certifying agencies. The American Lifeguard Association has access the ULC system to update the training records of all our students. Professional Lifeguard Instructors have access to enhanced services, allowing them to use the ULC database to manage their classes and their training activity. The ULC system, which is endorsed by the American Lifeguard Association, was designed with instructors in mind, to make it easy for industry professionals to use best-of-breed practices in their daily activity. Now instructors with the American Lifeguard Association and other recognized aquatics program can easily manage on one site the credentials of all students who have completed their lifeguarding courses. Need help paying for courses? The American Lifeguard Association (ALA) has been offering training for over 25 years. It is a national educational association that has the full support of both the Swimming Pool and Spa Association and Global Lifeguards, a nonprofit 501(c)(3) organization. These organizations are all members of the Global Lifeguard Association, which make up one of the largest worldwide aquatic consortiums and have certified over 250,000 individuals, and saved countless lives over past quarter of a century. The American Lifeguard Association helps with the development of testing protocols and the administration of health and safety programs at swimming pools, waterparks, waterfronts, and beaches. In addition, the American Lifeguard Association emphasizes public awareness of governmental and personal responsibility in aquatic environmental issues to protect the world we live in. It has worked diligently on environmental issues to help keep our beaches and waterways cleaner for our future generations. Over the years, it has promoted the Think Blue Too movement, which has had a positive impact on the appearance and well-being of our aquatic environments. The American Lifeguard Association promotes the safe and enjoyable use of aquatic environments through public services announcements and national news media interviews. 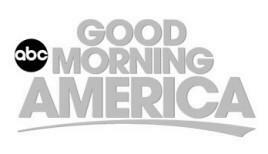 The Association’s opinion and viewpoints have been aired numerous times over the decades, on network shows such as NBC Today Show, Good Morning America, Doctors, and Weather Channel. It has also worked with all the national news networks such as ABC, CBS, FOX, and NBC. The American Lifeguard Association adheres to a code of ethics and makes a commitment to deliver high-quality health and safety training and testing. Our program-development process draws on the talent and experiences our leaders and educators have as recognized experts in the lifeguard profession, along with outside consultants from various national health and safety organizations, infused with diligent research, to ensure that the program content and guidelines used in our programs are safe and meet current national standards. The purpose of the ALA training program is to teach candidates the knowledge and skills needed to help prevent and respond to aquatic emergencies. As with all certifications, employer should ensure that each lifeguard candidate has all the skills necessary for the position for which he or she is being considered. To obtain further information on the national training programs we offer and to enroll, we ask that you to select “Courses Offered,” which is an option at the top left of our home page. If you have questions, we ask that you email us through our Contact Us form.